We believe that every child is born a genius with limitless possibilities for growth when nurtured with the right training. We aim to unlock the fullest creative potential of each child and develop their ability to make decisions with empathy and insight. We believe in cultivating knowledgeable, independent learners who are confident and considerate, with a head start in life. ​Agnes holds a Master’s degree from NIE with a specialised focus on the educational development of children, aged 0 - 8 years old. Her scope of study includes modules in Gifted Education, Special Needs Early Intervention, Assessments as well as Curriculum Planning. Being trained and specialising in the subject of early childhood education, Agnes is able to give tremendous professional insights on how to handle toddlers and young children. She is also a mother of three toddlers and has been actively exposing her children to right brain training. She has since seen extremely encouraging results and mental development in her children and became a firm believer of the effectiveness of professional right brain training methodology. With the experience she has gleaned over the years as an educator and a mother herself, Agnes approached HEGL Japan in her search for the best right brain training methodology for her own children as well as for the many other children in Singapore yet to hear about the benefits of right brain training. Being personally trained and inspired by HEGL Japan founders Mr Hirotada Henmi and Mrs Ruiko Henmi, Agnes returned to Singapore with a renewed passion to share what she had learnt and benefited. 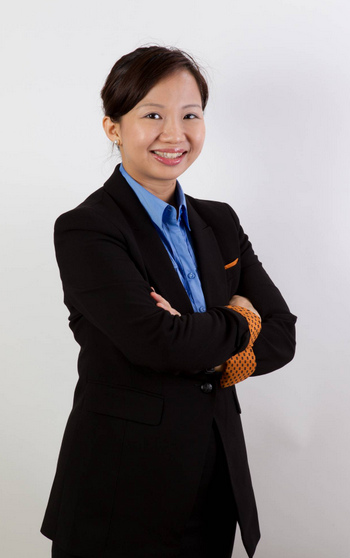 As Principal of Heguru Method @ HarbourFront + Choa Chu Kang, Agnes is 100% committed to establish Heguru in Singapore to benefit young children here and to contribute to the development of early childhood education in the local education industry. Claire had been teaching in one of the top government primary schools in Singapore prior to joining Agnes and her team at Heguru Method. Her vision is to see young children in Singapore benefit from the tangible results achieved through professionally delivered right brain training methodology. 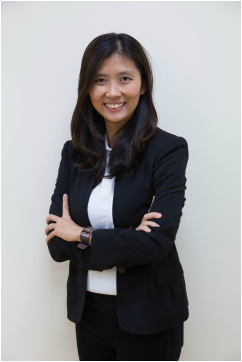 Being educated in Singapore and trained professionally as a career educator in Pei Chun Public School for more than 7 years, Claire is very familiar with the local education system and MOE primary school syllabus. She specialised in the subjects Mathematics & Science and was instrumental in pioneering the Higher-ability students' enrichment programmes for her school, which she was put in charge of coordinating. Claire was also in charge of personally coaching these gifted pupils for various national competitions. In 2010, she represented Singapore in the International Gifted Education Conference held in Sydney, Australia. Throughout her teaching career, she was also a personal mentor to several trainee teachers, guiding teachers to be better education professionals in their career growth path. Her desire to see children grow and develop in all aspects: mentally, physically, socially and psychologically, motivates her in her role as an educator and Vice Principal at Heguru Method Learning Centre. Rachel graduated with a Degree in Accountancy from Nanyang Technological University. After completing her degree, she went on to pursue a Masters in Human Resource Management. She specialised in accounting, business management and human resource management. 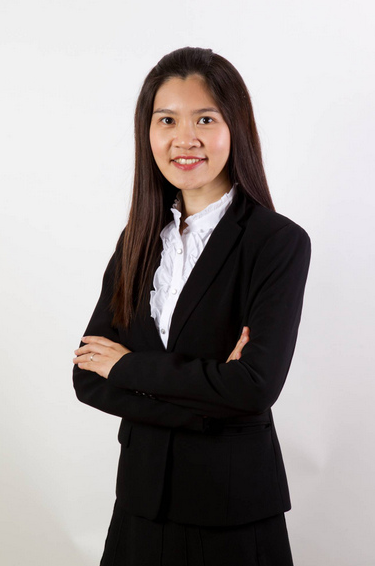 Prior to leaving the workforce to fully concentrate on her 2-year-old son’s growth and development, she was the head of her company’s Human Resource department in an International Bank, and was given great management responsibilities over the HR and operational issues of the financial institution's entire Singapore operations. Her corporate working experience, coupled with her strong attention to detail enables her to be an outstanding professional in training and handling of operational issues. Rachel is now a full-time mother and is actively involved as a parent volunteer in the preschool that her son attends. Being surrounded by children, her passion for teaching children grows each day and she is always looking for opportunities to be part of their growth and development. With Heguru Method Learning Centre, Rachel has rediscovered her calling as an educator and trainer for young children. She believes this will allow her to impact even more young minds and empower them with a head start in their educational journey. ​Heguru Method is pleased to have our VIPs, Mr and Mrs Henmi, founders of HEGL Heguru Right brain training programme from Japan’s renowned leading educational institute, Henmi Educational General Laboratory, visiting our HarbourFront Centre and its new extension on 25th May 2018.